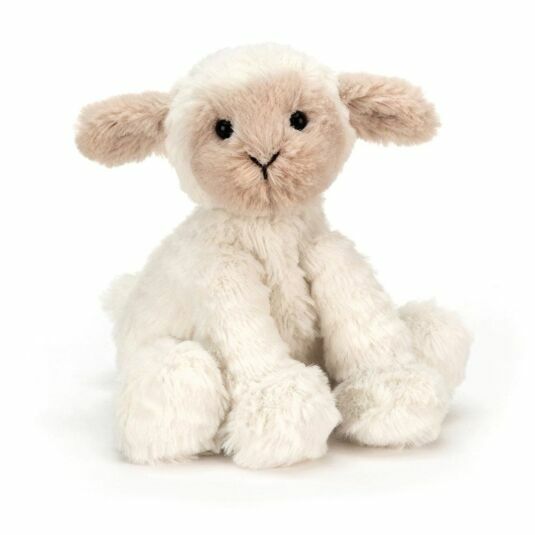 Fuddlewuddle Lamb is the cutest and cuddliest lamb in the herd, with a ‘cloud-like’ fleece that is huggable and soft. He makes the perfect pushchair pal for tiny tots. With woolly hooves, floppy ears, super-soft cream fleece and beady black eyes, how can you resist his cut little face?! This huggable pocket companion is sure to be loved, making him the perfect playtime partner for Easter, birthdays and Christmas.